We hear so much about the traits and roles of leaders. Sometimes it seems we get so focused on the performance outcomes a so-called “good” leader nudges others towards that we forget the essence of what it means to lead. The ability to help guide, teach, and develop another human being could be considered a noble calling. Parents do this, as do teachers, friends, mentors, and leaders in all kinds of organizations. Managers may not see themselves this way at times, when team drama is high. But, they too, are in a position to bring out the best of which a person is capable or squash their confidence and contribution. I had a dialogue at a social gathering recently with a marketing manager, about developing high-performing teams using strengths intelligence. This is where each person on the team not only understands what they need for their strengths to be at play, and their performance and engagement to be high, but they know that about their teammates, too. His opinion was that many people are only interested in their own strengths and wouldn’t likely go the extra distance to learn the top strengths of their fellow team members. Having just returned from the Gallup Strengths Summit recently, I remembered a story shared with us from, Joshua Marcuse, Executive Director of the Defense Innovation Board of the Department of Defense. He had privately wondered about the perceived value of a team strengths training event delivered to a group for the DOD, including ex-Navy SEALS— tough guys. Months later, he met the group leader walking down the hall in the Pentagon, carrying an orange briefcase, which indicates top-level security. The leader stopped him, saying, “I want to show you something.” He opened the briefcase to reveal the handouts he had saved from the team training. The heading was, What I Need to be My Best. It was obvious these sheets were worn from frequent handling. They had notes scribbled on the margins of them. 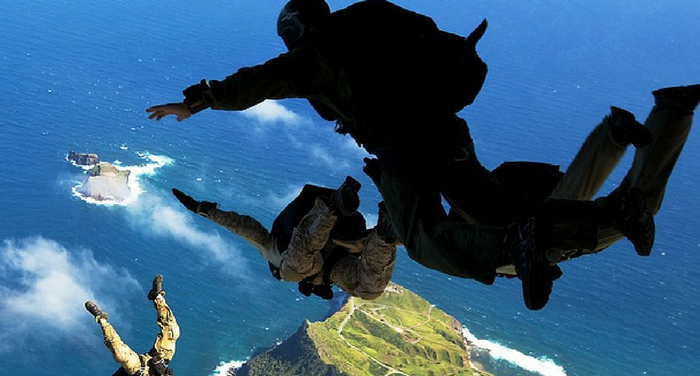 As a leader involved in some of the most extreme situations we can imagine—truly life or death—this ex-Navy SEAL saw the value of knowing what each team member contributed in terms of their natural strengths and what they needed to bring their best game. I believe he studied those sheets and allowed them to guide decisions based on what was best for each person and the whole. He was invested in developing a strong group to deliver the best of which they were capable. He might not have said it verbally, but his actions implied he saw leadership development as a noble calling. We do too, which is why we’ve put so much into developing high People Acuity™ in the leaders with whom we work. Understanding our own and others’ strengths is important in relationships that matter. Knowing our contributions is only the beginning. Understanding what our strengths need to be strong is crucial for performance. Being aware of overuse and underuse of strengths is very important. In fact, some research suggests that 66% of all weakness is tied to our strengths. Knowing what triggers us and our team members (or family members) is a big deal. Understanding how to adjust in order to have team needs met and every member thriving is a game changer. When we answer a noble calling, we know there will be an investment in learning. If you answer the noble call to lead, developing high acuity for relationships and people is crucial and worthy of your time. Understanding what each person requires to bring their best game will elevate any family, group or team, no matter what the stakes are.